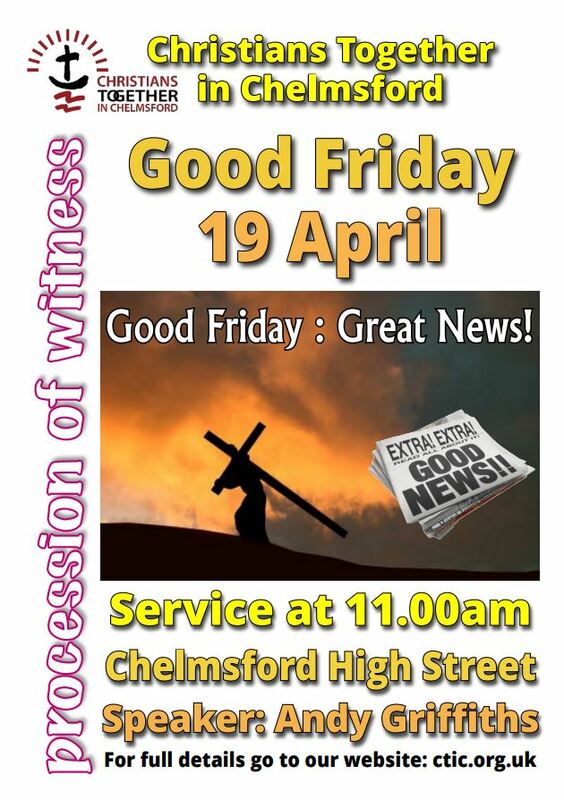 Good Friday – Great News! A really big thank you to everyone who made this year’s Procession and Service of Witness to our City such an amazing time. Click here for our dedicated event page which has been updated with full details and photos. 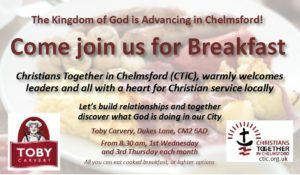 The mission of CTiC, as we are also known, is to be a champion and a catalyst for all God is doing in Chelmsford; to see Christians of all denominations and traditions come together as friends, ‘as one’, so the name and the Good News of Jesus Christ may be made famous throughout our City. 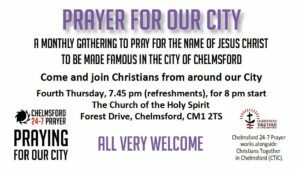 In 2016 we changed our name from Churches Together in Chelmsford, to Christians Together… to more clearly express our desire to represent all that God is doing in the City, through our many Churches, Christian based organisations and individual Believers in Jesus Christ alike. 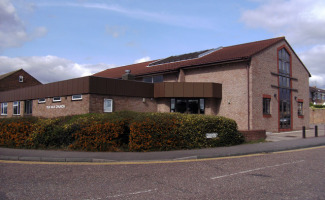 Take a look through the site, which we will keep updated with Christian News and Views, both locally and sometimes further afield – click here . 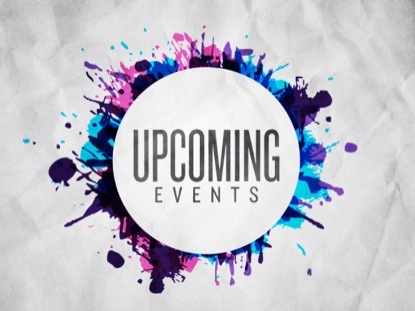 Also, check out our local Christian Events Directory – click here. Contact us if you would like us to consider sharing or advertising something your church, organisation or individually you are doing in and around The City. We are also happy to consider advertising for staff or volunteers required from local Churches and Christian Organisations. Go to our Opportunities to Serve page – click here. CTiC is linked to Churches Together in Essex and East London, part of Churches Together in England.